FLUSHING, Queens (WABC) -- A cold-blooded stray was found at a home in Queens Wednesday morning. 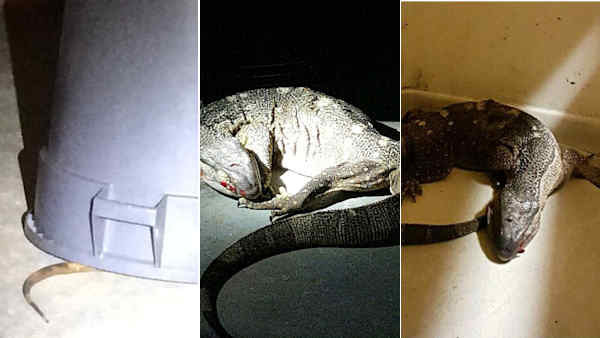 A three-foot Komodo dragon was spotted on a Flushing street by residents, who left the apparently escaped pet under a bucket for officers from the 109th Precinct. Officials say it does not appear to be full grown. Komodo dragons can reach a maximum length of 10 feet and weigh as much as 150 pounds. The lizard is now being cared for at an animal hospital. It is unknown who owns the pet or how exactly it ended up in the street.